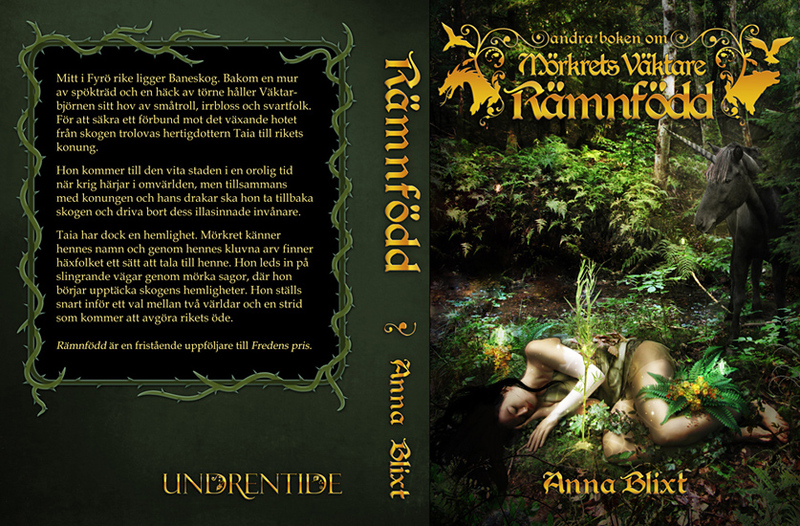 Just like with Fredens pris, Anna gave me a scene from her book to work with and it was a lot of fun to make the magical forest come to life. The front image is almost – almost – one single photo. I found it a bit hard to bring the “unicorn” to the photo set so I had to photoshop her in later. Same thing with the sapling, but the rest was staged in the forest by a small stream. You know you have to read the book just to know how well it fits, right? More info when the book is out! Buy Fredens pris from Undrentide, Bokus or AdLibris.